Interesting Fact About Me: I teach Special Ed and run for a special needs buddy. Fitness Goal: To stay healthy and active into old age. 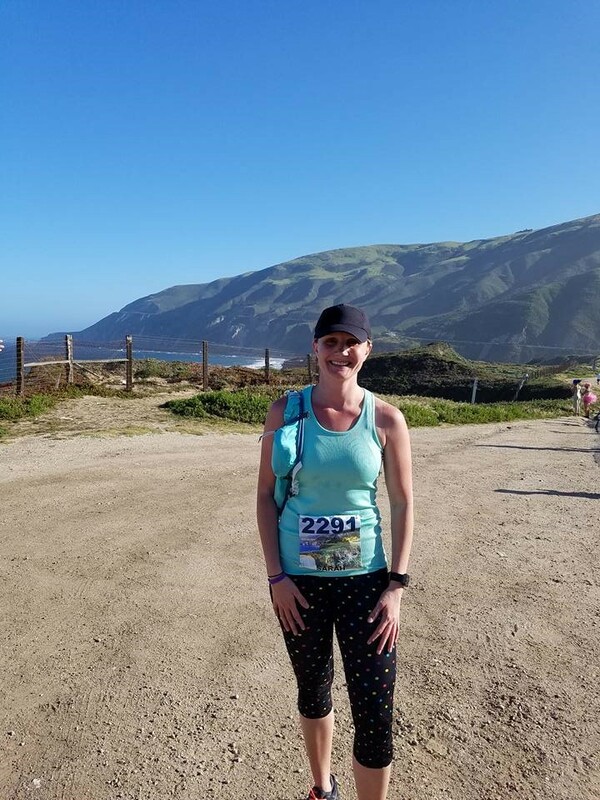 Favorite Race: Big Sur Marathon - huge hills but beautiful coastal views. Favorite Product: Balega socks. No blisters here!! 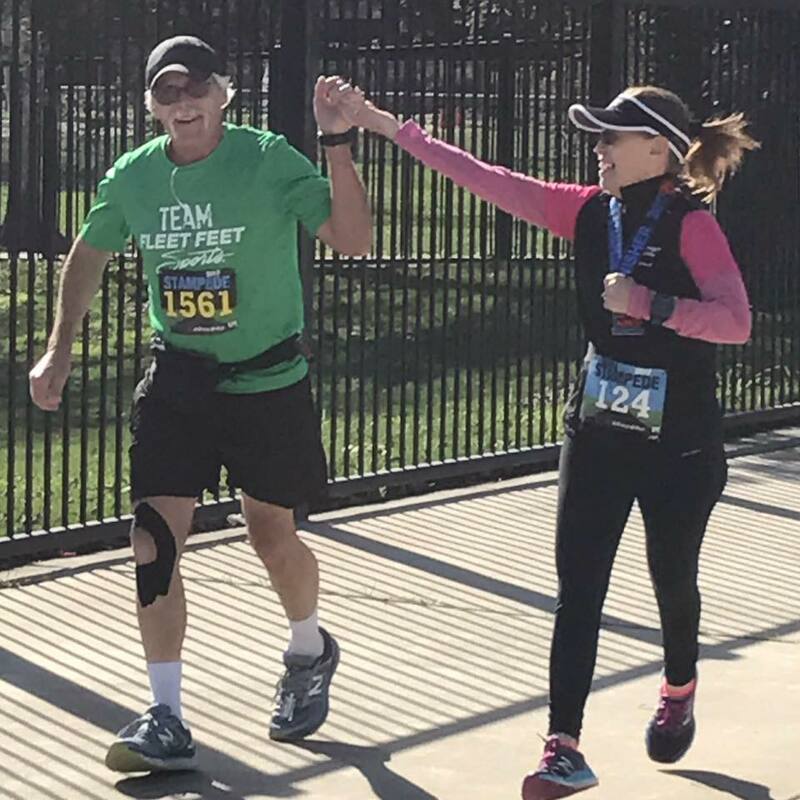 What I Love Most About Coaching At Fleet Feet: I love sharing my joy of running with others and helping them reach their goals. The look on someone's face as they cross the finish line is priceless and I am honored to be a part of that journey. Interesting Fact About Me: I started running for the first time in my life at 40 years old, after losing 117 pounds. Fitness Goal: To complete a sprint triathlon and run a half marathon in Lake Tahoe, CA. What I Love Most About Coaching At Fleet Feet: This program has given me so much personally, and I enjoy giving that back as a coach. I love encouraging runners to push themselves and do more than they ever thought they were capable of. The Fleet Feet family is an amazing support system that I am so thankful to be part of. Interesting Fact About Me: I did not start running until I was 50, and ran my first half marathon at 51 and my first marathon at 52. I love to have mental hashtags to keep me motivated, the main two were #13.1@51 and #26.2@52. Fitness Goal: Stay healthy and manage my diabetes and weight. Fit for life is how I approach life. I try to do some form of exercise 6 days a week. Favorite Race: I have a few, by far the Ave of Giants Marathon, and Folsom and Livermore Half-Marathons' are on top of the list. Favorite Product: There is a few, first I love Brooks shoes and my Nathan Hydration belt, I can't run without! And of course, my Garmin Forerunner watch. What I Love Most About Coaching At Fleet Feet: I enjoy watching everyone's journey, support that everyone gets and gives from the group, seeing the wonderful friendships that are created, the support for each and every runner, and the motivation I get and give to others from being part of the group. Interesting Fact About Me: My first race ever was when I was 15 years old. I completed a 4 mile race across the Coronado Bay Bridge in San Diego. 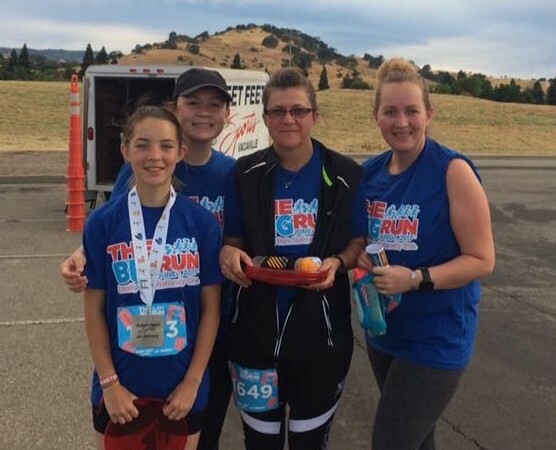 My running story: After running my first half marathon, I started training with Fleet Feet Vacaville for motivation to continue my training and improve my time. I love to run because it improves my overall health (mental, physical and emotional). Coaching and mentoring provides great joy in my life, because I get to help people achieve their goals. What I Love Most About Coaching At Fleet Feet: I love to run because it improves my overall health (mental, physical and emotional). Coaching and mentoring provides great joy in my life, because I get to help people achieve their goals. Interesting Fact About Me: I served for the Air Guard for 6 years. Fitness Goal: Is to just run! 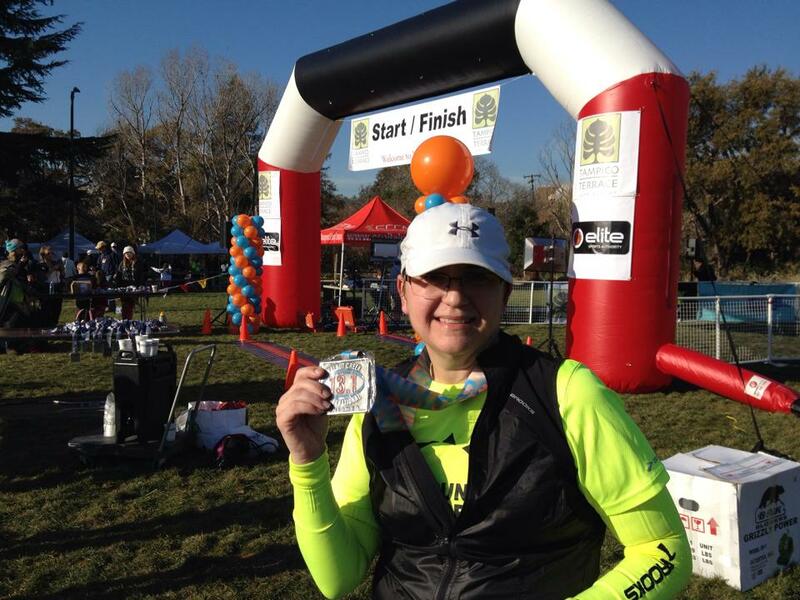 Favorite Product: I use Nuun for every run! What I Love Most About Coaching At Fleet Feet: I love coaching because I can help other people realize their goals. Since I'm not a born runner, I have to work at it just like everyone else. I love coaching at Fleet Feet because of all the support I get from the Fleet Feet family. Fitness Goal: To keep up with my wife. Haha! I want to run well past 70. Interesting Fact About Me: I believe in Yetis and Bigfoot. Favorite Product: New Balance 1080 shoes and their shorts, and Brooks Glycerin shoes. And of course my Nathan hydration vest. Why I became a Fleet Feet Coach: I enjoy helping people. I always have. Fitness Goal: To stay healthy for as long as I can by keep moving. Interesting Fact About Me: I wish I could've had my grandchildren first. Favorite Product: New Balance 1080 shoes and the Garmin Fenix 5S. Its so pretty! Why I became a Fleet Feet Coach: I have been coaching with Carol since she opened the store. I really enjoy watching people reach their goals. The first group I worked with, I was running along with one of the ladies and I helped her cross the finish line with a smile. It made it worth all the while to see someone cross their first finish line. Fitness Goal: Manage my weight. Interesting Fact About Me: People say I'm 6'5"....but I'm really 4'29". Why I became a Fleet Feet Coach: To meet new people. beginners to set and achieve their goals. Interesting Fact About Me: I love colorful running pants. Favorite Product: My Garmin watch! 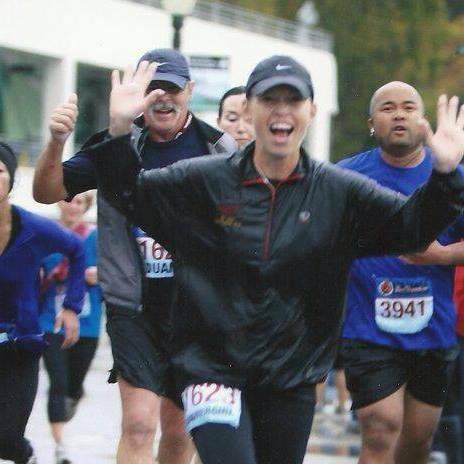 Why I became a Fleet Feet Coach: I enjoy running and want to share that joy with others. Fitness Goal: To stay healthy, active, and increase my running speed. Interesting Fact About Me: Through the good and the bad, I am a huge Oakland Athletics fan. GO A'S! 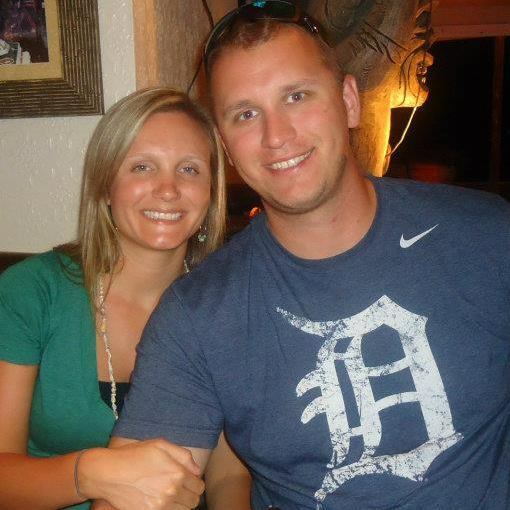 Favorite Product: I love my Nathan Hydration bottle. It fits my phone and keys while I run. I also love my Garmin Forerunner. 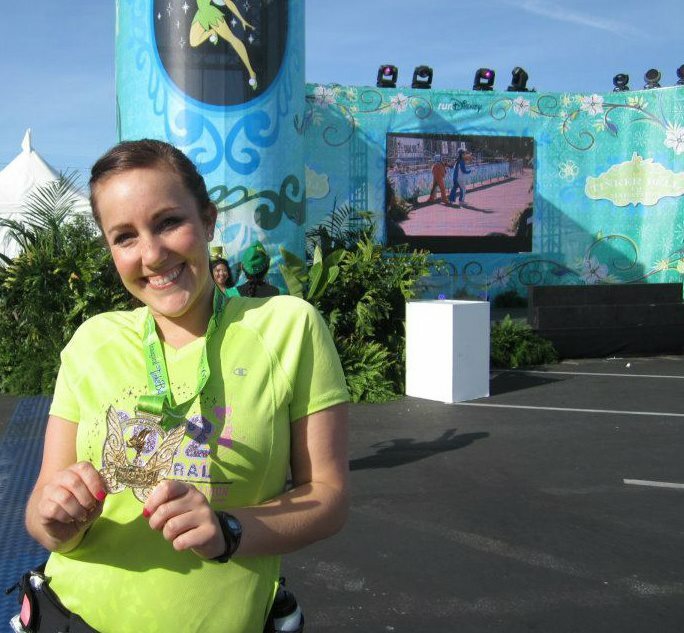 Why I became a Fleet Feet Coach: I became a coach to encourage others to enjoy running and meet their goals.